IGI allows organizations to provision, audit and report on user access and activity through lifecycle, compliance and analytics capabilities. IBM Cloud Identity is a born-on-the-cloud identity-as-a-service platform that provides Single Sign-On, access controls, identity governance, multifactor authentication, and provisioning. 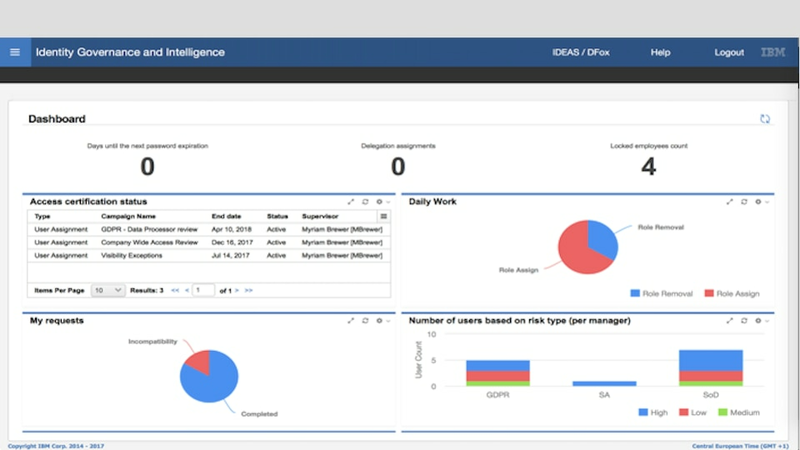 IBM Security Secret Server deploys privileged account management to empower enterprises with control over application access to endpoints and servers.